This year our country decides to pick new leaders who help us, the people, voice our opinions on what we want to fix and what we need to be done. Along with a presidential candidate and a few other politicians, we have to express our concern about something close to home. The Indian River Lagoon has been going through long term abuse from the input of wastewater, fertilizers, runoff, and many other pollutants. Although the community and others are trying to reverse the damage, there is still a lot more to be done. There’s a four-step plan that has been proposed: remove the muck; restrict the flow of septic, fertilizer, storm water and pollutants; restore the mollusks and sea grasses; and lastly, to act fast. In order to carry out this plan, a ½ Cent Tax is being proposed. Brevard County and economists estimate the plan can be successfully implemented for $302 million over 10 years. They’ve also estimated that each Brevard County resident will only spend $26 annually if the tax is to be implemented. 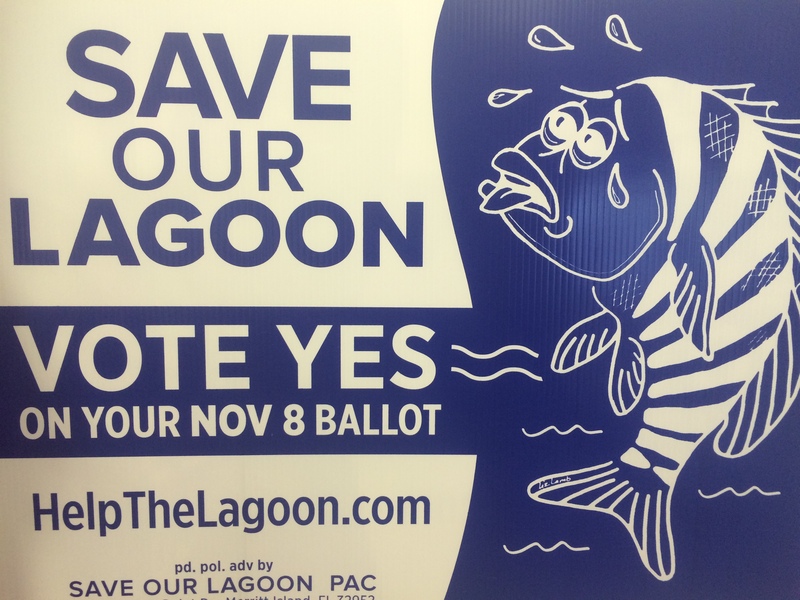 Although it may seem to be a burden, the Indian River Lagoon is a large investment. The quicker the plan is enacted, the quicker the investment is for the community. For more information, click here and please help by volunteering, donating, or just by spreading the word. 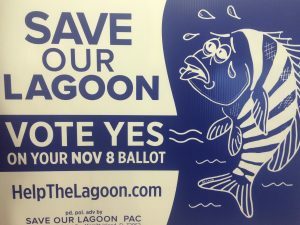 Vote YES for the Lagoon on November 8th!